I first heard about The Cage in St Osyth a couple of years ago when I watched a programme on TV called ‘Great British Ghosts’. I was fascinated listening to Vanessa, the current owner, tell the TV crew about the events that had happened in the house since she had lived there. After checking to see where in England The Cage was, I realised it was in Essex and less than an hours’ drive from my parents’ house on the Suffolk/Essex border. I’ve been keen to try to visit the place ever since, and so my recent trip back to England this October (2015) provided me with the ideal opportunity to do just that. My timing couldn’t have been better. I contacted Vanessa who then got a friend of hers, Michael (Mickey) Rawlings to call me in order to arrange a time to visit. 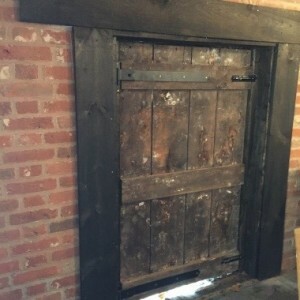 Michael (who runs the ‘Spook Night Productions’ website) explained that the house had actually been closed to the public for a year and a half due to the amount of physical injuries received from paranormal activity in the house, with some people trying to hold Vanessa liable for their injuries. Vanessa had, had enough of the house and she is decided to put the house up for sale, but there has been no interest in the house for over the year and a half. Michael was moving into the house the week I visited and will stay there until the house is sold. Vanessa now refuses to go into the house alone and so Michael has offered to help Vanessa by organising and overseeing paid public visits to the house. 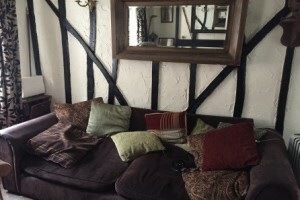 The house is mainly visited by paranormal teams and teams come from all over the world to stay in the house. The money raised from these visits are being used to cover the mortgage which is still owed. They are hoping if they get enough groups visiting on an ongoing basis, that they can actually take the house off the market. While in the house, Michael is doing full-time paranormal experiment. The house has been set up with camera’s, EMF meters etc and is effectively being monitored 24/7. 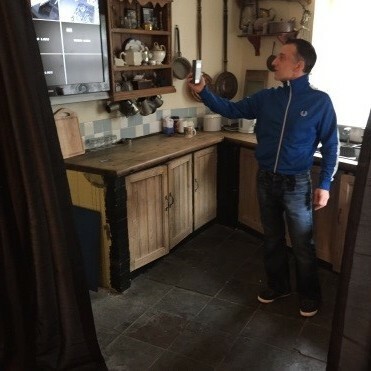 The cameras are linked to a recording system, with a large monitor in the kitchen where you can seeing what’s happening in all the rooms at the same time. He was happy for me to come over and spend some time hearing the stories and doing some investigation. St Osyth is a small village in Essex England. It has an interesting history which includes legends and supernatural occurrences. Saint Osyth was a female saint in the 7th century (daughter of Redwald). Her story is as follows. St Oysth married the King of the East Saxons, Sighere. He granted her a nunnery in what is now called Nuns Wood (north of where the priory now stands). The Danes beheaded Saint Osyth in 653 and she is said to have walked back to her nunnery with her head in her hands and died there. Other tales suggest she dropped her head in the doorway of St Peter and St Pauls Church. Stories say that a spring formed where she was beheaded and this became known as a healing spring. Her ghost (carrying her head in her hands) is said to have been seen in Nuns Wood. It’s also reported that there is an anniversary haunting on the 7th of October at midnight where Saint Osyth can be seen in the churchyard. Other legends include a fire-breathing dragon in 1179 which set some properties alight and other sources tell of a dragon’s lair in the priory cellars. People have also reported seeing a white monk apparition carrying a lighted candle in the priory. She was later blamed for intentionally causing illness and death and was tried for witchcraft, along with another lady Elizabeth Bennett, at Chelmsford in February 1582. At her trial, several of her neighbours testified against her, making statements to Justice Brian D’Arcy. It’s believed that Brian D’Arcy also forced Ursula’s 8-year-old son Thomas to give evidence against his own Mother. Ursula and Elizabeth Bennett were executed, but the place of their execution is not clear. It may have been Chelmsford but it wasn’t unusual for women accused of witchcraft to be hanged in their village and then buried in local unconsecrated ground. 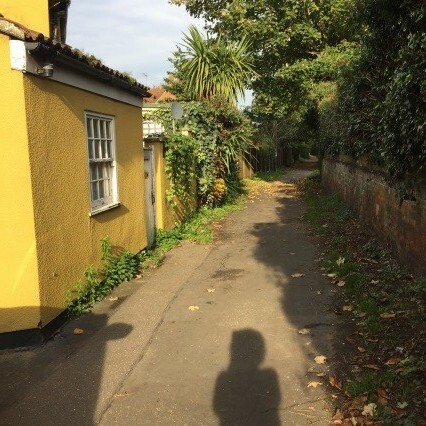 In 1921, two skeletons were discovered in a garden by a Mr Brooker, a tenant in St Osyth carrying out some building work. One skeleton was badly damaged. The bodies were clearly not near a burial ground and Mr Brooker having some knowledge of the history of witches in the village decided to cash in by arranging visits from local people wanting to see the ‘witches’ skeleton. Both skeletons had iron rivets in their elbows and knees; it was thought to stop witches from rising out of the grave. People are assuming the two skeletons are Ursula and Elizabeth, but no carbon testing has been done to establish this. Three witches were tried in 1645 and five died before witch trials, the skeletons could be of any of the so-called witches. Only the house burning down in an unexplained fire in 1932 halted the interest in what was now believed to be the body of Ursula Kemp and the remains were reburied at the site. 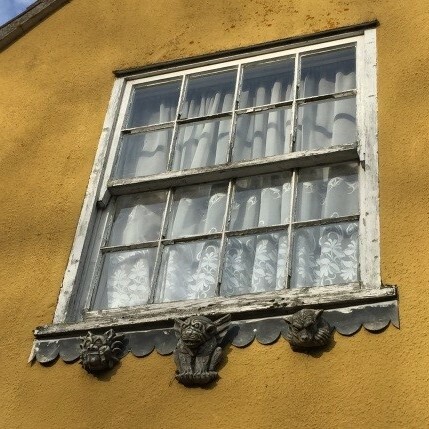 More than 30 years later redevelopment prompted exhuming of the skeleton and the bones were sold to the Witchcraft museum in Boscastle owned by Cecil Williamson who promised he would safeguard her and not allow her exploitation again. The skeleton was then and sold in the 1990s to Robert Oscar Lenkiewicz, until his death in 2002. The skeleton was then re-buried. The current owner, Vanessa, purchased the house as she had always loved the house as a small child growing up in the village. She was happy to have purchased the house and she moved in with her friend. On the day she moved in she saw an apparition of a man in the living room and within a month they noticed all kinds of strange happenings, like taps turning on and off, TV tuning on and off and electrical items not working. Vanessa witnessed further apparitions, shooting stars within the living room, a drink can flying off the table, door latches moving and wardrobe doors started opening and closing. She has also had items go missing and later turn up in bizarre places. Vanessa later moved out of the house as she had enough of the intense activity. She attempted to rent out the property, but the tenants only stayed a few months. The house is extremely active and the spirits of jailer, a young child, a suicide victim, and Ursula Kemp are all believed to be active there amongst others. The Cage has been up for sale for a year and a half however there has been no interest in the property. 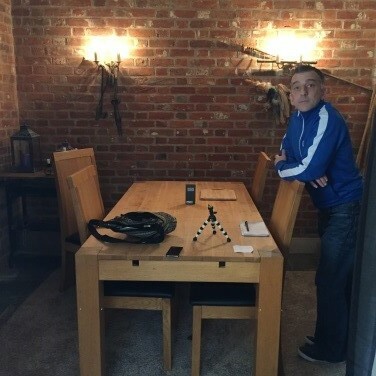 One of Vanessa’s friends, Michael Rawlings, has recently moved into the house. He has decided to stay in the house and do a full-time paranormal experiment until the time it gets sold. The house has been set up with camera’s, EMF meters etc and is effectively being monitored 24/7. The cameras are linked to a recording system, with a large monitor in the kitchen where you can seeing what’s happening simultaneously in all the rooms. Michael has also agreed to organise visits from paranormal groups wishing to spend time investigating there. Michael and Vanessa are hoping that they can make enough money doing this to cover the mortgage and so enable them to take the house off the market. Michael posts happenings of the ghostly goings on in the house in his Face book page ‘Spook Night Productions’. He is also writing a fictional book (The Cage) about the house based on the true events that have happened there. In addition, he’s hoping to do a TV documentary about the house. • Michael said the house was rife with poltergeist activity, particularly upstairs. • Vanessa the owner, now won’t go into the house by herself. She’ll only go in with other people and will wait outside until they get there. • There was activity most days and includes items moving around, toys moving upstairs and electrical toys going off. • Shadow people and apparitions are frequently being seen. • Spirits often set of the motion sensors which are located by the step between the living room and the back entrance area. • Michael explained to me that activity was generally greater in the downstairs areas in the morning and then greater upstairs at night-time. • Michael did also tell me that many paranormal groups and mediums have felt that there may be a dominant force in the house which might sometimes be stopping other spirits from communicating. • Interestingly, Michael is moving into the house and will stay there until it gets sold – whether that’s months or years. During this time he’s running a full-time paranormal experiment 24/7. The house has been for sale for the last year and a half with no interest! • The floor area was excavated a while back and they dug up lots of stuff including human bones, straps and other metal sections, thought to be part of the old witch prison. While doing this, a blue orb shot out of one of the holes – which they photographed. Photo is on Spook Night Productions Facebook Page). • Michael took a photo in the mirror in the dinning area one night – the photo shows a strange face-like image above his head (photo is on Spook Night Productions Facebook Page). • The death certificate of Phil appeared in the kitchen one day. Vanessa was not able to work out where it had come from. Vanessa called Phil’s wife and she said only one death certificate had been issued and she had that. Vanessa still has the certificate that mysteriously turned up in the house. • I’ve heard and read the stories of how this used to be the prison for witches in the 16th Century. • There is one chair in the living room that apparently a lady spirit likes to sit in. I heard a story about how a medium had told an investigator that was in the house one night, not to sit on the chair as the lady spirit didn’t like people sitting in her chair. The investigator ignored this and sat on it anyway. In half an hour or so they started scratching their legs and on checking they had red marks and blotches all over their legs. Michael says he also avoids sitting in the chair most of the time as it makes him feel nauseous when he does (he now always asks if it is OK to sit it in, before sitting down). • Dead crow with no eyes, found in the cast iron fire-place recently. They couldn’t see that it could have come down the chimney as the hole was too small. No one had been living in the house for some time. • Under the floor they have found the remains of an older building – though it’s not known what this is. 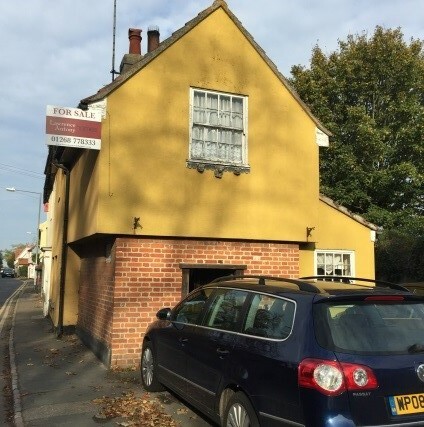 • Michael has picked up the sound of monks chanting on his video recorder previously (note the old priory is opposite the house). • Several woman on different occasions have report being stuck to the toilet. • The owner has reported of hearing scratching which seemed to come from under the floor. Michael report seeing a shadow figure standing by the wall, then this moved hunched over across the yard and through the end wall. The back yard was originally part of what is called ‘Coffin Alley’, where dead bodies were carried by coffin bearers to the cemetery. The shadow figure was hunched in a way that it may have been if it had been carrying a dead body on some kind of stretcher. • A previous owner Phil – a manic-depressive hung himself in the stairwell. His wife came home and opened the door to the stairwell only to see his legs hanging there. Michael says various paranormal groups have managed to contact Phil while investigating there. • Two children called Tommy and Ellie are believed to be in the room. They are often heard running about upstairs. Their voices and sighs have been picked up by various paranormal groups as EVPs. 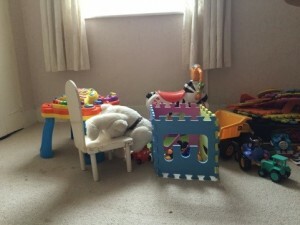 People coming back to the house have brought toys for the children, these are all in the room. • This room was believed to be used by the gaoler. He has also been detected in the house – EVPs etc. • Michael has reported having to get out of the bathroom quickly as he has felt really uncomfortable in there. He also reports to have heard growls. • Vanessa has also reported growls and has been hit violently her across the back of the leg – this sent her toothbrush flying out of her hand and left a physical red handprint on her. • A friend staying (who was a skeptic heard the sound of someone setting of a water squirter and then the back of his head was wet – he couldn’t explain where the water had come from). 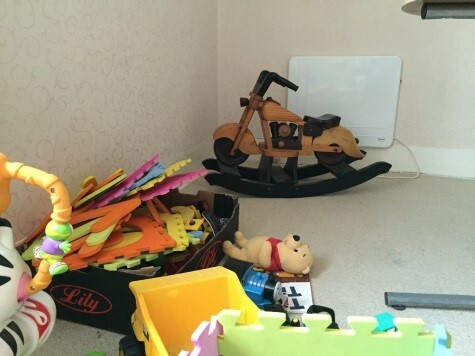 • This room is where people have been physically attacked – Michael says he always feels uncomfortable in here. • One of Vanessa’s friends (22 stone man) was thrown into the cupboards in the room. He won’t go back in. • Other paranormal investigators have felt intense pain, one lady reported feeling as if a sword has been struck through her. Other reports include blood coming from one investigator’s eyes and another has had blood from his ears. Some people have been left with physical marks (scratches and bites) and one person with no medical history of seizures had a seizure while in the room. 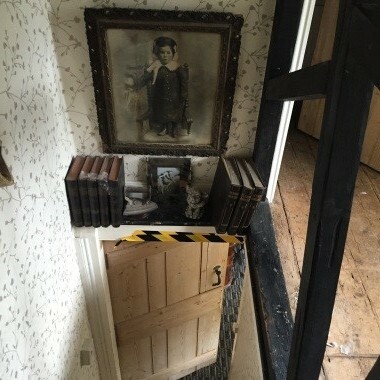 • Because of the physical injuries experienced by visitors to the house, Vanessa decided to close the house to the public as it was too dangerous and people were holding her liable. No one has been in the house for a year and a half prior to me going. 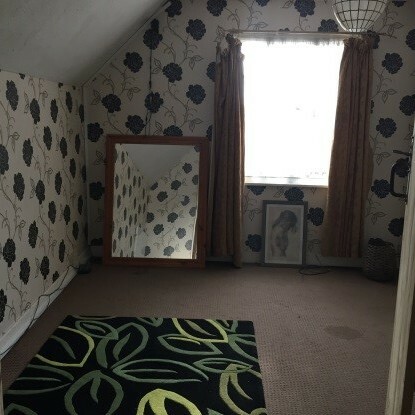 • People have seen a lady and a child looking out of the window from this room. 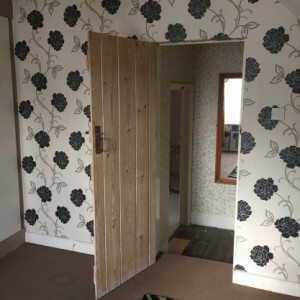 • The door latch often rattles by itself (I believe they have filmed this). • There is an old priory opposite the house. The priory was a house of Augustinian canons in the parish of St Osyth (then named Chich) and it was in use from the 12th to 16th centuries. It was founded c. 1121 and it became one of the largest monasteries in Essex – it’s also believed to be haunted and monks have been seen or heard at the property. It’s not open to the public, however, Michael and another investigator are trying to get access to do some investigation in there. • The skeleton of Ursula Kemp was dug up at another property in the village. 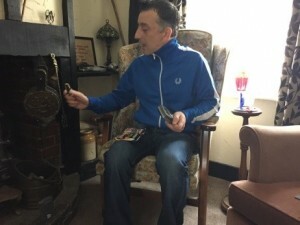 • Michael said the Fish and chip shop is haunted – when he went into to ask the owner about this, several other people in the shop at the time told him that their houses were haunted also. He intends to follow this up and go around and interview various people in the village about activity in their houses. It seems the whole village is quite active. EQUIPMENT USED: EMF/Gauss/K2 meters in each room – placed on tables, on the floor, on the bathtub, depending where we were. 2 x Motion sensors were set up on the floor at the step from the living room going into the back entrance area. Wall mounted IR cameras in all rooms. TEMPERATURE IN THE BUILDING – I did not have a temperature meter to take readings, but the whole house was extremely cold inside (despite it being quite warm outside that day). Michael explained that the house always felt cold even during the summer months. I had spent lot of time looking at pictures and reading about the house before I went, so I had some expectation of what the house looked like inside. When I first walked into the house I was in the kitchen/dinning area. Michael was welcoming and friendly so I felt relaxed when I entered. The house did feel very cold inside and Michael explained that the house always felt cold and it seemed impossible to warm. There was a strong smell in the kitchen, but I felt this may be the damp more than anything else (the house had been stood empty for a year and a half until this time). The kitchen was a bit rickety and some parts of the house looked like needed work e.g. 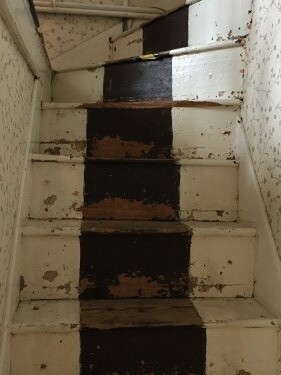 rickety stairs, toilets that didn’t work, stained carpets etc. The area that was the original prison was now a living room. 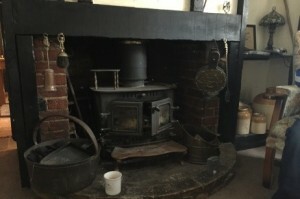 It had a beautiful old cast iron fire place. I didn’t have any strong feelings on first entering, so for example, the house didn’t particularly feel negative on first impression. I was left to walk around the house by myself while Michael left to get some milk. He’d already told me many of the stories and paranormal events that happened there. I went around with the video and voice recorder on my phone to document the rooms and some of the events that had happened (unfortunately, my video didn’t record – perhaps I had pressed start, but I have the voice recording). On entering the living room (original site of the prison), I felt an intense cold down my spine. I’ve heard other people describe this feeling on other investigations, but I’ve never felt this myself until that point when I walked into that room. 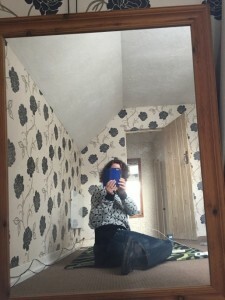 As I walked around the other rooms, I was feeling a little wary, knowing that I was in a place known to be very active, but otherwise I had no feelings of being uncomfortable etc. I came back down and decided I would go around again the house again, this time with my EMF meter. As I was about to walk back into the living room, it’s hard to describe what happened. I felt that the floor almost moved like there was going to be an earthquake. Then I heard creaking and bangs/thumps from upstairs. At this point I suddenly felt very threatened by the house! I felt as if the house wasn’t happy about me being there. At the start of this strange experience, I did stop what I was doing. I think at the time I was quite confused as to what was happening so unfortunately I didn’t saying anything other than I could hear banging from upstairs. I had my voice recorder on and I was also trying to video what I was doing. I have captured some of the bangs, although there are not so loud on hear as when I heard them in person. I did have to gather myself to walk into the lounge area. At that point Michael arrived back. I explained what happened. He said the banging could be the kids upstairs as they were often heard running around. He said I may have triggered something as I was a new person to the house. Note: There was a lot of traffic going past the house and at times big lorries could make the house vibrate. On listening to my voice recorder however, at the exact time this happened I couldn’t hear any cars or lorries go past until after the event, so I’m pretty sure this wasn’t related to the traffic. Other than that time, I felt OK in the house. I was with Michael most of the time, so I felt relatively safe. I may have felt differently if I’d been by myself. The house is relatively small. It dates backs to the 1500s when it was the prison for witches (until 1908). The back of the house is the original prison – this is now the small living room which leads to an entrance area and back door. 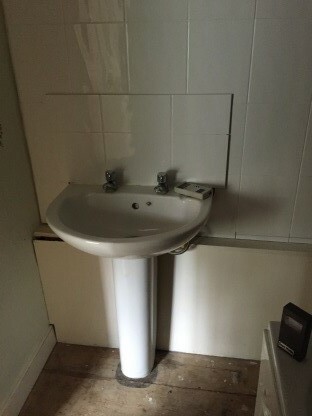 There is also a small toilet in this entrance area. The back door leads to a small yard. When the building was a prison, there was no yard, this was just part of an alley known as coffin alley as this was where dead bodies were carried down to the cemetery. The upstairs area over the prison may have been added on later, but the stairs lead to two small bedrooms, one slightly larger than the other, and another small bathroom. The front of the house is an add-on and this includes the larger upstairs bedroom and the downstairs kitchen and dinning area and front door. Michael wasn’t sure the age of the add-on, although, it appeared to be fairly old (likely to be a few hundred years old). I’m not sure any particular rooms stood out in the sense of feeling uncomfortable etc but the whole house fascinated me as all areas had amazing stories attached to them. I really felt like the whole house was living (it’s hard to explain). I had limited equipment, but had taken my phone which I used to take pictures and limited video. I also used my voice recorder to capture as much as I could of our conversations as well as EVP. I also used my EMF meter. Michael had his own equipment in the house. He set-up motion sensors. He also had cameras which were running 24/7 and he had several EMF meters which we used while investigating. The following events happened while I was there investigating. 1. The whole house felt unusually cold. 2. As explained after the initial walk through, as I set off to walk through again, I felt like a movement of the ground and bangs from upstairs. 3. An intense cold feeling up my spine on first entering the living room area. 4. 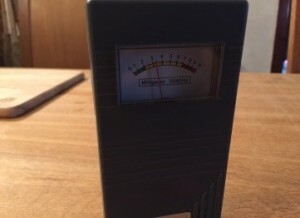 The natural EMF meter which Michael kept on the fire place kept going off – it would slowly start to click and the arm would creep up slowly until it was quite strong. It would stay strong for a few minutes, then suddenly drop to zero. This happened several times. We tried some comms sessions while this happened (although my voice recorder seemed to play up during this time). 5. Similarly Michael had put a Gauss meter on the kitchen table while he made some tea – this suddenly this went off. It was going crazy for several minutes. He said it had never gone off in that room before. We spent some time trying to work out what might have set this off – nothing obvious. I moved it about and found it got stronger or more intense as I moved it near the floor by the radiator. Like the natural EMF meter the Gauss meter would go crazy for several minutes then suddenly drop to zero. When it had dropped to zero, we moved it back over the same area and got nothing…. it was very bizzare! My EMF meter on the other hand didn’t go off at all in the same area. The Gauss meter did this several times while we were stood chatting in the area and drinking tea. Michael told me the area near the floor where the signal had been strongest was where they had dug a hole previously to do some excavation. While they had done this, he said they saw a big blue light/orb fly out of the whole (which they have photographed). They found many things under the kitchen floor including human bones, straps probably used to tie up the witches and animal bones, teeth etc. Later in the morning when we came back downstairs, I left the Gauss meter on the table again. I’d also left my voice recorder there. While we were talking in the back entrance area, my voice recorder has captured the meter starting to slowly click again, as we come back into the dinning area it gets stronger and starts going crazy again. We then sit down at the table and we start to ask questions to anything that might be there trying to set it off to see if we can get them to spike it higher. At one point I say, how about leaving us in peace and going away…the meter starts to drop off, it goes up again then suddenly drops to back to zero. 6. While in the upstairs room, we were doing a communication session. I felt a burning sensation on my shoulder. I didn’t say anything at the time, but told Michael later when we were downstairs. He said many people have complained of burning or shoulder pain in that room. Other people have had blood coming from their eyes and ears and one large friend of the owner has been thrown into the cupboard doors while in that room. Some people have been left with physical marks and one person with no medical history of seizures had a seizure while in the room. My shoulder was burning still a bit on the drive home and on getting home I checked in the mirror and observed a red mark which looks like a possible bite shape or 2 scratches. I’m 100% sure these weren’t on my shoulder before I went. By evening the mark had faded and by the next day it was gone. I took the following picture which has a hazy cloud like area coming in the door. It may just be a smear on the window, but I’m presenting it as it could potentially be something caught on film. As always photos can be hard to interpret. Kitchen – we were asking lots of questions as to who was setting the Gauss meter off. • After I asked whoever it was to leave us in peace the Gauss meter dropped slightly, but then started up again. After this, I can hear a lady’s voice which I would described as protesting “noooo”, the sounds like some kind of arguing and possible male voice. I then ask is they want us to leave the house and I get a really strong “Frrrrrr”. We were just sitting watching the meter, so I can’t easily explain this noise. It sounds quite aggressive to me. Small bedroom questions were geared more to the kids. Did they want to play hide and seek? How did they feel about Michael moving in? What was their favourite toy? Was it them running about when I came into the house? Did they want to touch the machines we had? Was there someone there that was stopping them from communicating? • Strange tapping noise when addressing the children as if someone was responding, this happened multiple times when asking the kids questions. • Also got this tapping noise when we asked if Phil was there. How did they feel about Michael moving in? How did they feel about me being there – were they unhappy about new people coming to the house? Did they want me to leave? Why were they so angry? We also asked if the lady was there? What was she looking at, out of the window? What was her name etc? No EVPs of significance captured. Was there anyone there? Was it the gaoler? Did they like to play tricks (referring to the water squirting incident) etc. would they talk to me? • Very clear EVP of a lady singing and then possible ladies voice talking after this. Yes, I feel it’s definitely haunted, if that’s what you could call it, I would say it’s more than haunted, the house feels like it’s actually a living. From my own brief experience, the film evidence I’ve seen, the stories I’ve heard about what happens there, it’s like no place I’ve been before with regards to paranormal activity. Paranormal activity is really heightened here, it’s like a paranormal playground! I think there could be residual hauntings there, but there’s definitely intelligent activity there also. I’m trying to I understand how such a small house can have so much paranormal activity attached to it. It’s old and parts of the house have been associated with a violent past. I think perhaps a lot more has happened in the house other than just the prison and the more recent suicide. I only visited the house for 3 hours and during the day, but I just from this short time, the house did feel very much like it was alive. Michael left me alone in the house for a short time, while he went to the shop. After I had a quick look around, I came down to get my EMF meter so I could go around again. Just as I was about to step into the living room, I did feel like the house almost shuddered, groaned and I could hear 2 loud bangs from upstairs. I had a strong feeling that the house didn’t want me to go any further, I felt very intimidated. I had to brace myself to go in further. As soon as I entered the living room I felt and icy feeling down my spine and my EMF went off. I went through all the rooms with Michael. He told me a lot of the history of the house and the various paranormal experiences and poltergeist activity that he, Vanessa, Vanessa’s friends and various paranormal groups had had there over the past few years. There were so many stories, I was blown away. 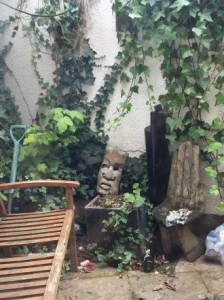 I heard stories about how he had seen a hunched over shadow figure moving across the back yard which would once have been part of the back alley called ‘coffin alley; where bodies were taken to the cemetery. 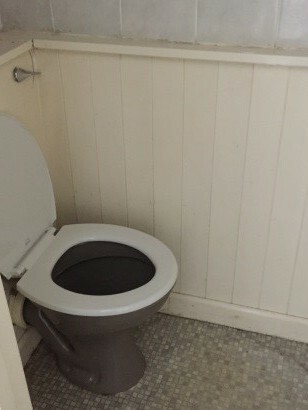 I also heard about how several of the women who had visited the house over the years had actually got stuck to the downstairs toilet, needless to say I was a bit nervous using this toilet! Michael also told me about Phil who was a previous tenant of the house. Phil was manic-depressive who hung himself in the stairwell. His wife came home and opened the door to the stairwell only to see his legs hanging there. Michael says various paranormal groups have managed to contact Phil while investigating there. The living had numerous stories attached to it. This was the old prison area. In the living room the EMF which stands by the fire place goes off frequently. Items have frequently flown across the room. There is one chair in the living room that a lady spirit likes to sit in. I heard a story about how a medium had told an investigator that was in the house one night, not to sit on the chair as the lady spirit didn’t like people sitting in her chair. The investigator ignored this and sat on it anyway. In half an hour or so, they started scratching their legs and on checking they had red marks and blotches all over their legs. Michael says he also avoids sitting in the chair most of the time as it makes him feel nauseous when he does. Vanessa has observed a number of spirits in that room, both male and female. A dead crow with no eyes was recently found in the cast iron fire place. They couldn’t see that it could have come down the chimney as the hole was too small. No one had been living in the house for some time. We soon had our own activity in the living room, when Michaels’ natural EMF meter (which stands on the fireplace) started to go off. This was followed not long after by Michaels Gauss meter going off in the Kitchen it as stood on the middle of the dinning table). It was going crazy and wouldn’t stop for several minutes. It became even more intense when I moved it close to the floor on the other side of the wall from the fireplace. I was told this was unusual as it had gone off in other rooms but never in here. It stopped as suddenly and dramatically as it had started. We moved the meter over the same area, but it was dead. I was told under the kitchen floor were the remains of another older building (purpose not known). Michael and some others had also excavated the ground under the floor some time ago and had dug up lots of items including human bones, straps and other metal sections, thought to be part of the old witch prison. While doing this, a blue light had shot out of one of the holes (a photo was captured of this). The Gauss meter going crazy happened again in the kitchen just before I left the house. The interesting thing is that I left my voice recorder on the table by the meter while we went into the back area of the house and were casually chatting. While we were chatting you can hear the meter starting to tick. As we got closer the meter started going crazy again, this again lasted for a couple of minutes before suddenly stopping again. We couldn’t find an explanation for what might have set it off. After it stopped we tried to see if we could set it off again, but nothing worked. I picked up one interesting EVP while the Gauss meter was going off the first time. We asked whatever was setting it off to stop and I asked whatever was there to leave us in peace, the Gauss meter dropped slightly in response to this, but then started up strongly again. After this I can hear a lady’s voice which I would describe as protesting “noooo”, then it sounds like some kind of talking/arguing and possible male voice. I then ask if they want us to leave the house and I get a really strong “Frrrrrr”. We were just sitting watching the meter, so I can’t easily explain this noise. It sounds quite aggressive to me. We carried out communication sessions in both bedrooms and in the upstairs bathroom. The smaller bedroom was said to have the spirits of 2 children Tommy and Ellie (Tommy possibly being Ursula’s son). This room is believed to have been the room used the gaoler when the house was a prison. On my voice recorder I picked up a strange tapping-like noise. This noise happened mainly when addressing the kids and in response to questions to them. I also got the same noise when we asked if Phil was there. I can’t really explain would may have caused this noise as we were sitting still in the room. The larger bedroom is where people have been physically attacked. One of Vanessa’s friends (22 stone man) was thrown into the cupboards in the room. Other paranormal investigators have felt intense pain, one lady reported feeling as if a sword has been struck through her. Other reports include blood coming from one investigator’s eyes and another has had blood from his ears. Some people have been left with physical marks (scratches and bites) and one person with no medical history of seizures had a seizure while in this room. While I was in the room I experienced a burning pain in my shoulder. My shoulder was still burning slightly on the drive home and so when I arrived home, I checked my shoulder in the mirror and observed a red mark which looks like a possible bite shape or 2 scratches. I’m 100% sure this mark wasn’t on my shoulder before I went to The Cage. By evening the mark had faded and by the next day it was gone (I have photographed this). I did find it a little disturbing that I may have been physically harmed as a result of being in the house. Other stories about this room include people having seen a lady and a child looking out of the window. The door latch often rattles by itself (they have filmed this). Michael left me to do an EVP session in the upstairs bathroom. He has reported having to get out of the bathroom quickly as he has felt really uncomfortable in there. He also reports to have heard growls. Vanessa has also reported growls and has been hit violently her across the back of the leg – this sent her toothbrush flying out of her hand and left a physical red handprint on her. 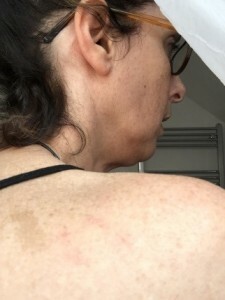 A friend of hers who was staying in the house for a few days (who was a skeptic) heard the sound of someone setting off a water squirter and then the back of his head was wet – he couldn’t find an explanation as to where the water came from. I picked up some good EVPs in this room including a lady singing, possible growls and a voice saying “perhaps he’s hiding, yes”. My 3 hours in the house went way too quickly and I could easily have stayed there all day into the night! I’m really admire what Michael is doing in the house with 24/7 paranormal experiment. I definitely think his constant monitoring will capture some real evidence of the paranormal. I hope they are able to keep the house and take it off the market. The house has really got under my skin and I would love to go back again…next time a sleepover though I think! Matthew Tyler: Which piece of equipment being used these days by investigators, do you feel is gathering the most important or valid data? Why?